Dame Frances Margaret Anderson, AC, DBE (10 February 1897 – 3 January 1992), known professionally as Judith Anderson, was an Australian-born British actress who had a successful career in stage, film and television. A preeminent stage actress in her era, she won two Emmy Awards and a Tony Award and was also nominated for a Grammy Award and an Academy Award. She is considered one of the 20th century's greatest classical stage actors. Frances Margaret Anderson was born in 1897 in Adelaide, South Australia, the youngest of four children born to Jessie Margaret (née Saltmarsh; 19 October 1862 – 24 November 1950), a former nurse, and Scottish-born James Anderson Anderson, a sharebroker and pioneering prospector. She attended a private school, Norwood, where her education ended before graduation. She made her professional debut (as Francee Anderson) in 1915, playing Stephanie at the Theatre Royal, Sydney, in A Royal Divorce. Leading the company was the Scottish actor Julius Knight whom she later credited with laying the foundations of her acting skills. She appeared alongside him in adaptations of The Scarlet Pimpernel, The Three Musketeers, Monsieur Beacauire and David Garrick. In 1917 she toured New Zealand. After a period of poverty and illness, she found work with the Emma Bunting Stock Company at the Fourteenth Street Theatre in 1918–19. She then toured with other stock companies. 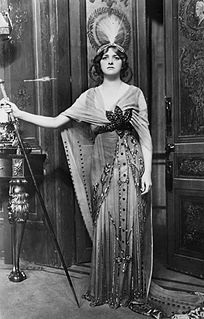 She made her Broadway debut in Up the Stairs (1922) followed by The Crooked Square (1923) and she went to Chicago with Patches (1923). She appeared in Peter Weston (1923) which only had a short run. One year later, she had changed her acting forename (albeit not for legal purposes) to Judith and had her first triumph with the play Cobra (1924) co-starring Louis Calhern, which ran for 35 performances. Anderson then went on to The Dove (1925) which went for 101 performances and really established her on Broadway. She toured Australia in 1927 with three plays: Tea for Three, The Green Hat and Cobra. Back on Broadway she was in Behold the Bridegroom (1927–28) by George Kelly and had the lead role in Anna (1928). She replaced Lynn Fontanne during the successful run of Strange Interlude (1929). Anderson made her film debut in a short for Warner Bros, Madame of the Jury (1930). In 1931, she played the Unknown Woman in the American premiere of Pirandello's As You Desire Me, filmed the following year with Greta Garbo in the same role. It ran for 142 performances. She was in a short-lived revival of Mourning Becomes Electra (1932) then did Firebird (1932), Conquest (1933), The Mask and the Face (1933) with Humphrey Bogart and The Drums Begin (1933). She made her feature film debut with a role in Blood Money (1933). Anderson focused on Broadway: Come of Age (1934), and Divided By Three (1934). She had a big hit with the lead in Zoë Akins' The Old Maid (1935) from the novel by Edith Wharton, in the role later played on film by Miriam Hopkins. It ran for 305 performances. She returned to Broadway with Family Portrait (1939), which she adored but only had a short run. She later toured in the show. She then received a career boost when cast in Alfred Hitchcock's Rebecca (1940). As the housekeeper Mrs. Danvers, Judith Anderson was required to mentally torment the young bride, the "second Mrs. de Winter" (Joan Fontaine), even encouraging her to commit suicide; and taunt her husband (Laurence Olivier) with the memory of his first wife, the never-seen "Rebecca" of the title. The movie was a huge critical and commercial success and Anderson was nominated for a Best Supporting Actress Oscar. Anderson was second billed in an Eddie Cantor comedy, Forty Little Mothers (1940) at MGM. She stayed at that studio for Free and Easy (1941) then went over to RKO to play the title role in Lady Scarface (1941). In 1941, she played Lady Macbeth again in New York opposite Maurice Evans in a production staged by Margaret Webster, a role she was to reprise with Evans on television, firstly in 1954 and then again in 1960 (the second version was released as a feature film in Europe). This ran for 131 performances. She returned to films to make some films at Warner Bros: All Through the Night (1942), Kings Row (1942), Edge of Darkness (1943), and Stage Door Canteen (1943). In 1942–43, on stage she played Olga in Chekhov's Three Sisters, in a production which also featured Katharine Cornell, Ruth Gordon, Edmund Gwenn, Dennis King and Alexander Knox. (Kirk Douglas, playing an orderly, made his Broadway debut in the production.) It ran 123 performances. The production was so illustrious, it made it to the cover of Time. Anderson returned to Hollywood to appear in Laura (1944). She briefly returned to Australia to tour American army camps. She was back in Hollywood to appear in And Then There Were None (1945), The Diary of a Chambermaid (1946), and The Strange Love of Martha Ivers (1946). Anderson had rare top billing in Specter of the Rose (1946), written and directed by Ben Hecht. She returned to support roles for Pursued (1947), The Red House (1947), and Tycoon (1947). In 1947, she triumphed as Medea in a version of Euripides' tragedy, written by the poet Robinson Jeffers and produced by John Gielgud, who played Jason. She was a friend of Jeffers and a frequent visitor to his home "Tor House" in Carmel, California. She won the Tony Award for Best Actress for her performance. The show ran for 214 performances. Anderson then toured throughout the country with it. On the big screen, Anderson played a golddigger in Anthony Mann's western The Furies (1950) and made her TV debut in a 1951 adaptation of The Silver Cord for Pulitzer Prize Playhouse. She guest starred on TV shows like The Billy Rose Show and Somerset Maugham TV Theatre. She returned to Broadway with The Tower Beyond Tragedy by Jeffers (1950) and toured Medea in German in 1951. She was in a New York revival of Come of Age in 1952. She was Herodias in Salome (1953) and played in Black Chiffon on The Motorola Television Hour. In 1953, she was directed by Charles Laughton in his own adaptation of Stephen Vincent Benét's John Brown's Body with a cast also featuring Raymond Massey and Tyrone Power. Then she did In the Summer House (1953–54) on Broadway. On television she was in Macbeth (1954) with Maurice Evans, and The Elgin Hour. In 1955 she toured Australia with Medea. In 1956 she was in a production of Caesar and Cleopatra for Producers' Showcase. Anderson appeared in a 1958 adaptation of The Bridge of San Luis Rey for The DuPont Show of the Month and played the memorable role of "Big Mama" alongside "Big Daddy" Burl Ives, in the screen adaptation of Tennessee Williams' play, Cat on a Hot Tin Roof (1958). She followed it with a return to Broadway, the short-lived Comes a Day by Speed Lampkin (1958). "I don't profess to know much about films," she said around this time. "I seldom see one." Anderson reprised her performance as Medea for TV in 1959 – the same year she appeared in a small screen adaptation of The Moon and Sixpence with Laurence Olivier. She had a role in the Wagon Train episode "The Felizia Kingdom Story " and was in A Christmas Festival (1959) for TV. She appeared in several episodes of Playhouse 90 and one of Our American Heritage. In 1960, she played Madame Arkadina in Chekhov's The Seagull first at the Edinburgh Festival, and then at the Old Vic, with Tom Courtenay, Cyril Luckham and Tony Britton. 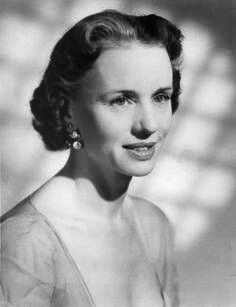 That year she also performed in Cradle Song (1960) and Macbeth (1960) for TV. She had support roles in Cinderfella (1960) and Why Bother to Knock (1961). In 1961 she toured an evening where she performed Macbeth, Medea and Tower. Anderson was in The Ghost of Sierra de Cobre (1964) for TV. In 1966 she did a performance on stage in Elizabeth the Queen which received poor reviews. She received acclaim for her lead performance in a TV version of Elizabeth the Queen (1968) with Charlton Heston. She followed it with The File on Devlin (1969) and A Man Called Horse (1970). The latter was her first feature since Why Bother to Knock. In 1970, she realised a long-held ambition to play the title role of Hamlet on a national tour of the United States and at New York's Carnegie Hall. She also recorded many spoken word record albums for Caedmon Audio from the 1950s to the 1970s, including scenes from Macbeth with Maurice Anderson (Victor, in 1941), an adaption of Medea, Robert Louis Stevenson verses, and readings from the Bible. She received a Grammy nomination for her work on the Wuthering Heights recording. Anderson returned briefly to Australia. She guest starred on Matlock Police and was in the film Inn of the Damned (1974). In 1982, she returned to Medea, this time playing the Nurse opposite Zoe Caldwell in the title role. Caldwell had appeared in a small role in the Australian tour of Medea in 1955–56. She was nominated for the Tony Award for Best Performance by a Featured Actress in a Play. She filmed this for TV in 1983. In 1984, she appeared in Star Trek III: The Search for Spock as the Vulcan High Priestess T'Lar. That same year, she commenced a three-year stint as matriarch Minx Lockridge on the NBC serial Santa Barbara. When asked why she replied "Why not? It's practically the same as doing a play." She had professed to be a fan of the daytime genre – she had watched General Hospital for twenty years – but after signing the contract, she complained about her lack of screen time. The highlight of her stint was when Minx tearfully revealed the horrific truth that she had switched the late Channing Capwell with Brick Wallace as a baby, preventing her illegitimate grandson from being raised as a Capwell. This resulted in her receiving a Supporting Actress Emmy Nomination although her screen time afterwards diminished to infrequent appearances. After leaving the series, she was succeeded in the role by the quarter-century younger American actress Janis Paige. Her last movies were The Booth (1985) and Impure Thoughts (1985). Benjamin Harrison Lehmann (1889–1977), an English professor at the University of California at Berkeley; they wed in 1937 and divorced in August 1939. By this marriage she had a stepson, Benjamin Harrison Lehmann, Jr. (born 1918). Luther Greene (1909–1987), a theatrical producer; they were married in July 1946 and divorced in 1951. Anderson loved Santa Barbara, California, and spent much of her life there. She died there, of pneumonia, in 1992, aged 94. Anderson was created a Dame Commander of the Order of the British Empire (DBE) in 1960 and thereafter was often billed as "Dame Judith Anderson". On 10 June 1991, in the Queen's Birthday Honours, she was appointed a Companion of the Order of Australia (AC), "in recognition of service to the performing arts". Dame Judith Anderson papers, at the University of California, Santa Barbara Library; accessed 19 August 2014. Dame Judith Anderson prompts, at the National Library of Australia website; accessed 19 August 2014. ^ According to the United States Social Security Death Index (SSDI), the California Deaths Index Registry and Genealogy SA, Anderson was born in 1897 but sources traditionally cited 1898 as her year of birth. ^ a b "Judith Anderson profile at Film Reference.com". filmreference. Retrieved 11 May 2008. ^ "Judith Anderson Biography". Yahoo! Movies. 2008. Retrieved 11 May 2008. ^ "Current Biography Yearbook, Volume 2". H.W. Wilson Co., 1941. 1941. Retrieved 31 October 2016. Judith Anderson was born in Adelaide, South Australia, the ... to give the girl eight years of good schooling at two private institutions in South Australia, Rose Park and Norwood. ^ "JUDITH ANDERSON". The Sun (1240). New South Wales, Australia. 2 January 1927. p. 28. Retrieved 5 December 2018 – via National Library of Australia. ^ a b c d THE STORY OF JUDITH ANDERSON New York Times 15 Feb 1925: X2. ^ a b DAME JUDITH ANDERSON: LIVING, WORKING LEGEND Smith, Cecil. Los Angeles Times (22 Apr 1985: g2. ^ Anne Heywood (7 May 2003). "Anderson, Frances Margaret (Judith)". Australian Women's Archives Project. National Foundation for Australian Women. Retrieved 11 May 2008. ^ "Judith Anderson's First Chance". Weekly Times (3004). Victoria, Australia. 26 March 1927. p. 16. Retrieved 5 December 2018 – via National Library of Australia. ^ "JUDITH ANDERSON". The Sydney Morning Herald (27, 754). New South Wales, Australia. 17 December 1926. p. 15. Retrieved 5 December 2018 – via National Library of Australia. ^ "Anderson, Frances Margaret (known as Judith) 1897-1992". SA Memory. State Library of South Australia. Retrieved 5 March 2015. ^ Dixon, Robert; Kelly, Veronica, eds. (1 January 2008). Impact of the Modern: Vernacular Modernities in Australia 1870s-1960s. Sydney University Press. ISBN 9781920898892. ^ "JUDITH ANDERSON". The Age (22, 433). Victoria, Australia. 28 February 1927. p. 10. Retrieved 5 December 2018 – via National Library of Australia. ^ New Play for Judith Anderson. New York Times 13 Apr 1928: 31. ^ Judith Anderson Excels in Play Chapman, John. Chicago Daily Tribune 25 Jan 1952: a10. ^ Gish, Lillian (1973). Dorothy and Lillian Gish. New York City: Charles Scribner's Sons. p. 206. ISBN 9780333153925. ^ "JUDITH ANDERSON HAS LONDON SUCCESS". The Sydney Morning Herald (31, 177). New South Wales, Australia. 4 December 1937. p. 19. Retrieved 5 December 2018 – via National Library of Australia. ^ Judith Anderson to Tour The Christian Science Monitor 19 Oct 1939: 16. ^ "TIME Magazine Cover: Katharine Cornell, Judith Anderson & Ruth Gordon". Time.com. 21 December 1942. Retrieved 27 July 2010. ^ "JUDITH ANDERSON IN AUSTRALIA". The Sydney Morning Herald (33, 243). New South Wales, Australia. 11 July 1944. p. 4. Retrieved 5 December 2018 – via National Library of Australia. ^ Hicks, Jack (2000). The Literature of California: Native American beginnings to 1945. Berkeley and Los Angeles: University of California Press. p. 641. ISBN 978-0-520-21524-5. ^ a b Judith Anderson Puts Her All Into Amazing 'Medea' Portrayal: Judith Anderson Gives Her All to 'Medea' Role Scheuer, Philip K. Los Angeles Times26 Sep 1948: D1. ^ Judith Anderson Signed Chicago Daily Tribune (1923-1963); Chicago, Ill. [Chicago, Ill]19 Sep 1954: r3. ^ Judith Anderson Never Let Self-Pity Hamper Success Lane, Lydia. Los Angeles Times 28 Oct 1956: D7. ^ "Judith Anderson -- a magnificent Medea". Tribune (917). New South Wales, Australia. 19 October 1955. p. 8. Retrieved 5 December 2018 – via National Library of Australia. ^ Judith Anderson: Lady Macbeth to Medea to Big Mamma With Ease: Judith Anderson Stage Superwoman Scott, John L. Los Angeles Times 1 June 1958: E1. ^ The Show? Just Call It Judith Anderson Smith, Cecil. Los Angeles Times 12 Nov 1961: A16. ^ "Judith Anderson to Star in Hallmark TV Drama: 'Elizabeth the Queen' Play by Maxwell Anderson, to Open 1967-68 Series on N.B.C. 90-Minute 'Robin Hood' Horns Joins The Nation" by George Gent. New York Times May 5, 1967: 77. ^ "Dame Judith Sees No Glory in the Gutter" by Judy Stone. New York Times January 28, 1968: D27. ^ Judith Anderson as Sioux New York Times 12 Oct 1968: 35. ^ Judith Anderson stars as Hamlet Petty, Roy. Chicago Tribune 25 Dec 1970: c1. ^ Benjamin Harrison Lehman, English; Dramatic Art: Berkeley (1889-1977), Professor of English, Emeritus profile, accessed August 19, 2014. ^ "Luther Greene Is Dead; Landscaper, Producer". New York Times. 4 June 1987. ^ "It's an Honour: DBE". Itsanhonour.gov.au. 1 January 1960. Retrieved 2 August 2010. ^ "Australian Honours: Anderson, Judith". It's an Honour. Australian Government. 2008. Archived from the original on 20 March 2012. Retrieved 11 May 2008. ^ Kirby, Walter (10 May 1953). "Better Radio Programs for the Week". The Decatur Daily Review. p. 50. Retrieved 27 June 2015 – via Newspapers.com. Wikimedia Commons has media related to Judith Anderson. Dame Flora McKenzie Robson, was an English actress and star of the theatrical stage and cinema, particularly renowned for her performances in plays demanding dramatic and emotional intensity. Her range extended from queens to murderesses. Dame Enid Diana Elizabeth Rigg, is an English actress. She is best known for playing Emma Peel in the TV series The Avengers (1965–68), Countess Teresa di Vicenzo, wife of James Bond, in On Her Majesty's Secret Service (1969), and Olenna Tyrell in Game of Thrones (2013–17). 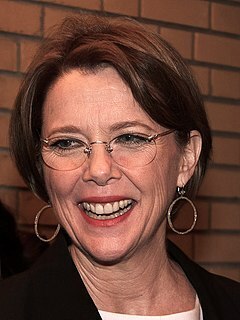 She has also had an extensive career in theatre, including playing the title role in Medea, both in London and New York, for which she won the 1994 Tony Award for Best Actress in a Play. 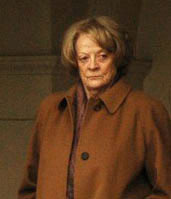 She was made a CBE in 1988 and a Dame in 1994 for services to drama. Dame Mary Louise Webster,, known professionally as May Whitty and later, for her charity work, Dame May Whitty, was an English stage and film actress. She was one of the first two women entertainers to become a Dame. The British actors union Equity was established in her home. After a successful career she moved over to Hollywood films at the age of 72. She went to live in America, where she won awards for her film roles. Martita Edith Hunt was an Argentine-born British theatre and film actress. She had a dominant stage presence and played a wide range of powerful characters. She is best remembered for her performance as Miss Havisham in David Lean's Great Expectations. Frieda Inescort was a Scottish-born actress best known for creating the role of Sorel Bliss in Noël Coward's play Hay Fever on Broadway. She also played the shingled lady in John Galsworthy's 1927 Broadway production Escape. Laura Hope Crews was a leading actress of the American stage in the first decades of the 20th century who is best remembered today for her later work as a character actress in motion pictures of the 1930s. Her best-known film role was Aunt Pittypat in Gone with the Wind. Margaret Webster was an American-British theater actress, producer and director. 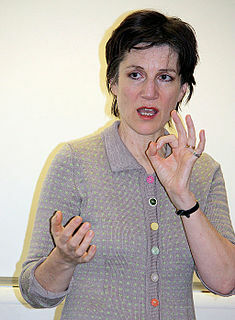 Critic George Jean Nathan described her as "the best director of the plays of Shakespeare that we have". Macbeth is a 1960 television film adaptation of the William Shakespeare play presented as the November 20, 1960 episode of the American anthology series Hallmark Hall of Fame. The series' second production of the play was, like the 1954 live telecast, also directed by George Schaefer, and again starred English-born American actor Maurice Evans and Australian actress Judith Anderson. The supporting cast, however, was different, consisting entirely of British actors, and was filmed on location in Scotland; the 1954 version had used a mostly American cast.